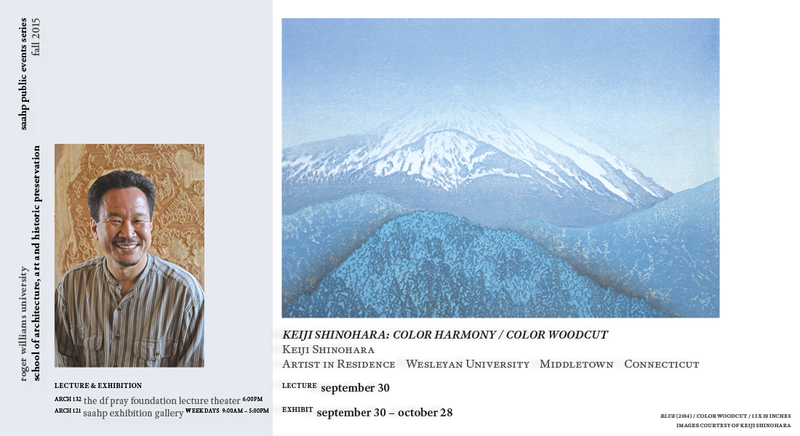 Artwork by Keiji Shinohara, artist in residence, is on display at Roger Williams University through Oct. 28. After two separate showings at Odakyu Shinjuku Art Salon in Shinjuku, Tokyo, Japan and Art Zone-Kaguraoka in Kyoto, Japan, Shinohara’s “Color Harmony/ Color Woodcut” exhibit comes to a close at Roger Williams’ SAAHP Exhibition Gallery. Shinohara is on the faculty in the Art and Art History Department and Department of East Asian Studies.